Acquired Book By: I am a regular tour hostess for blog tours via Chapter by Chapter, where I receive opportunities to host Author Guest Features on behalf of the Indie Publisher Month9Books and review for Indie Publisher: Rebelight Publishing of whom I love the stories by their Middle Grade & YA authors! As 2016 started, I received more opportunities to read and review Canadian authors through Chapter by Chapter. I love being able to discover more #CanLit whilst appreciating the beauty of the stories I am discovering through this touring company. I received a complimentary copy of “Dragonfly” direct from the publisher Peasantry Press in exchange for an honest review. I did not receive compensation for my opinions or thoughts shared herein. It was with a happy heart of joy, I discovered this About the Publisher page wherein I learnt a few things about Peasantry Press which added to the joy of having this title in front of me to read! I have blogged quite openly about my love of #CanLit and Canadian authors – my continue pursuit to read more Canadian Lit throughout the year (as each new one arrives) and how happy I am I can host the authors from my northern neighbour through Chapter by Chapter Blog Tours as well as iRead Book Tours – as they both feature Canadian authors on a regular basis. The interesting bit to note is that the author [Alyssa Thiessen] is a part of the Indie publisher and they are focusing on POD print runs for novels as well as circumnavigating the ebook trade. For me personally, I am thankful they embraced the POD side of the ledger, as due to chronic migraines I am a traditional reader of books in print! 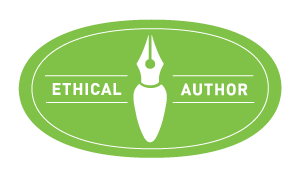 It’s their mission statement which struck a chord with myself – about whom the writers are representing on the ‘outside’ from the world of Major Trade that truly rung a level of truth with my own writerly heart. It’s something I’ve been contemplating of late and I think they rocked a mantra a lot of wicked good writers can personally relate too who are writing the stories they believe in even if those stories fit outside the norm of the trade and market. Stories which defy genre or re-invent an established vibe of a genre, whilst giving readers a new threading of narrative, character journey and an overall read that tries to take a reader somewhere new from a fresh perspective. This in of itself is inspiring. 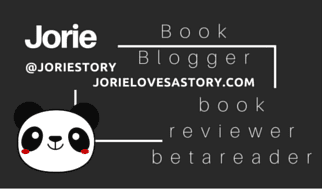 The main reason I elected to become a part of this blog tour is because I have the tendency to seek out stories ‘from outside’ my natural wanderings – look no further than my *End of the Year Survey, 2015* to find out how oft I do this and how well I am succeeding at finding certain authors who catch my eye and give me something to chew on! 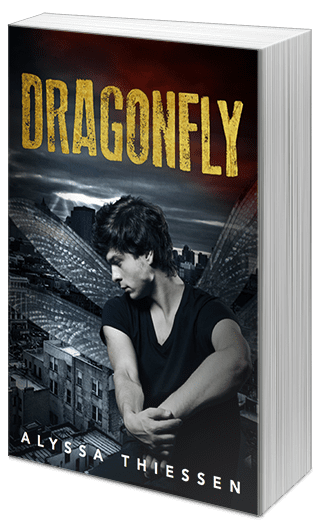 In this continued pursuit of mine – Dragonfly stood out by it’s premise and by the fact I felt it was Urban Fantasy derived. The secondary reason I appreciated finding Dragonfly is because the publisher is focusing on ‘clean fiction’ which fits well with my aversion to vulgarity in literature! One of the Urban Fantasy YA novels I’ll be reading this Spring was inspired by readers who like me, appreciated the premise of the context of the story (and series) but were not happy about the words – I’m referencing Trinity Stones and the joy I will have in reading the YA edition. I don’t mind a small blink of a strong word in reference but if it’s sprinkled so heavily it’s similar to eating too sinful of a chocolate cake due to it’s sugar content, then it goes from being healthy to something less desired. If Peasantry Press has found a common ground and middle road between genre, language and content – they have my gratitude! I can only hope others will follow in their stead! This genre is one of the particularly particular genres I read wherein I am open to read the story but the story has to convince me to love it. It’s hit or it’s miss with very little wiggle room in-between because I have a particular reason for seeking out the stories that fit this niche and the mark of expectation is a bit on the higher end. I find this genre a bit over cluttered with ‘sameness’ so when I find a plot that feels pulled together in a fashion I feel behooves the genre, I’m more than game to read it, taste it and find out what makes it stand out. I’m seriously wicked happy for discovering another Indie Press in Canada!